Louis W. Pierro is a Partner at McDermott, Pierro & Mandery. Prior to the creation of the new firm in 2014, Mr. Pierro served as Of Counsel to the McDermott Law Firm. For over 30 years Mr. Pierro has concentrated his practice in the areas of Elder Law, Special Needs Planning, Medicaid Planning, Business Succession Planning, Tax and Estate Planning and Estate and Trust Administration. He is a graduate of Lehigh University and earned his Juris Doctor from Albany Law School. 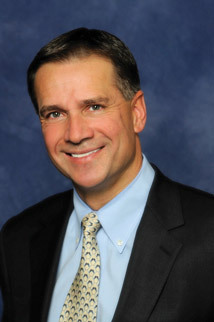 He is licensed to practice in all New York State Courts, the US Supreme Court and the Second Circuit Court of Appeals. Mr. Pierro regularly lectures on Estate Planning, Elder Law and Delaware Trusts across the country. His accolades include an AV Preeminent rating from Martindale-Hubbell and has been selected to the Best Lawyers in America, Super Lawyers, and the New York Times Top Attorneys in NY. He is a member of the National Academy of Elder Law Attorneys (NAELA); the American Bar Association; and the NYS Bar Association (Trusts and Estates and Elder Law Sections). In addition to McDermott, Pierro & Mandery, Mr. Pierro is partner at the Utica, NY law firm of Pierro & DiGiorgio, LLC and founding partner at the law firm of Pierro, Connor & Associates, LLC with offices in Albany and Manhattan. In addition, he is one of the founders of ElderCounsel, a national network that provides education and support to Elder Law and Special Needs law firms across the country. Estate Planning, Wills, Trusts, Wealth Planning & Preservation, Asset Protection, Charitable Planning, Business planning, Elder Law and Special Needs planning.